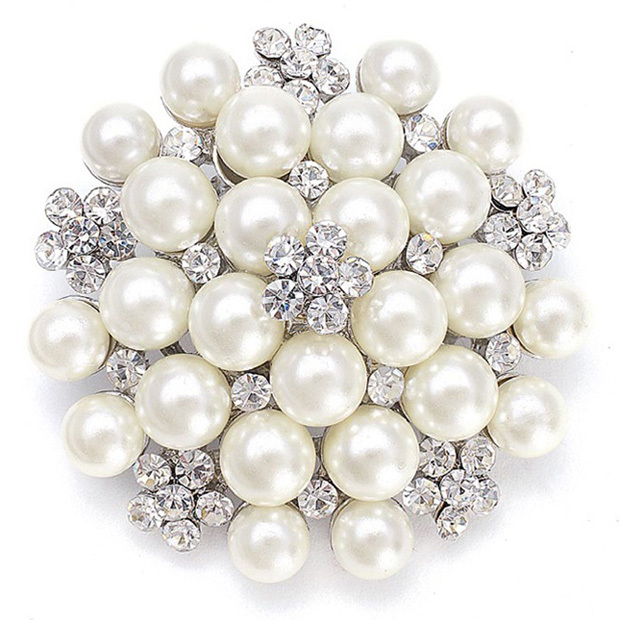 * Accessorize your wedding gown or bridal shawl with Mariell's classic pearl bridal brooch set in silver. * This elegant pin features a subtle dome of ivory pearls accented with delicate crystal daisies. * This fabulously priced pin is 2" w and is also available in ivory with gold as style 3150P/G.